The WA is working to finalize the online version of the NSF 342 CEU. The "Role of Wallcovering in Sustainable Design" will cover how the NSF/ANSI 342 Sustainability Assessment Standard evaluates many aspects of a product's sustainability, how the product reaches the end-user and the overall impact that it has on the environment. This CEU will help cut through the confusion and outline the role of certified wallcovering in sustainable projects and how they are viewed by today's green rating systems. The WA is working to finalize the online version of the NSF 342 CEU. The Well-Covered Wall CEU is registered with the Interior Design Continuing Education Council (IDCEC) for continuing education credits. This credit will be accepted by the American Society of Interior Designers (ASID), International Interior Designers Association (IIDA) and Interior Designers of Canada (IDC). The course covers a number of key factors that should form the foundation of your wallcoverings knowledge as related primarily to specifications and installations. Topics covered include: the features and benefits, basic construction of various wallcoverings and the importance of project planning, installation and maintenance factors to ensure greater client satisfaction. In addition, there are links to additional reference material and information which might be beneficial to have on hand in the future. To register for The Well-Covered Wall CEU Course, please click on the image below or the register button. For more information regarding The Well-Covered Wall CEU, please click here. 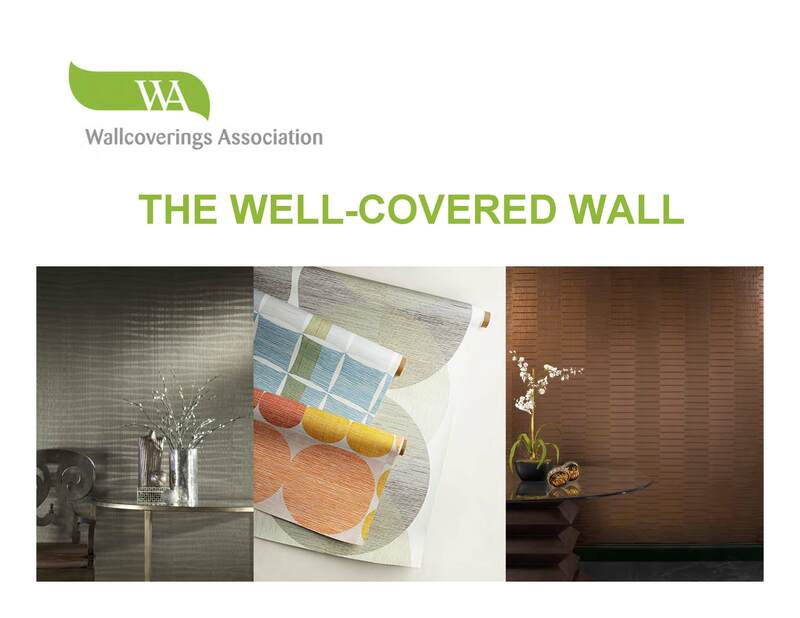 The Wallcoverings Association offers all active member companies the opportunity to have their employees approved to become instructors of WA offered CEU courses.Employees who are interested in becoming instructors must meet the following qualifications. To apply to become an instructor, please click on the button that says "register" above. Please note: Each CEU course hosted by an approved instructor will cost $10.00. WA will provide the instructor all educational materials needed to hold the course. For any additional questions please contact WA Headquarters.